Congrats on your new home! It is all wonderful and exciting until you start thinking about packing stuff. When it comes to moving, packing up your belongings is the most daunting task. 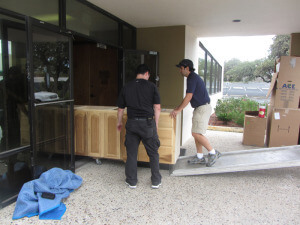 The local movers in San Antonio provide five easy tips that get you ready for a hassle-free moving. The simple rule to make your packing experience easier is ‘Don’t procrastinate.’ Even though it sounds simple, getting started can be very difficult. Start packing several boxes a day few weeks before moving. Begin packing items that are least essential to your daily life to stay organized. While packing, focus on a single area of a room at a time and avoid mixing items from different rooms. Wrap miniature knickknacks and other small items in brightly-colored tissue paper to prevent them from losing. Label each box clearly on both the top and side with the general description of the contents and the room name. For additional clarity and ease, use different colored markers to label the boxes from each room. Pack your items in boxes designed for moving. Avoid using boxes obtained from grocery or liquor stores as they may not be clean and are not designed to hold the weight of the items that you will be putting in them. Throw a quick glance around your room to find out items that cannot be packed. Some hazardous items cannot be shipped and can’t be put on the moving truck. In addition to these, avoid boxing up every item you find in your home. Consider personally transporting heirlooms, important papers, legal and valuables. If you are looking for local movers in San Antonio, visit https://www.allpromoving.com now. Share the post "Smart Packing Tips from San Antonio Local Movers to Make Your Move Stress-free"